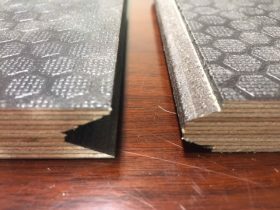 From the family of “Engineered White Birch Plywood”, SURPLY Deck is a structural engineered birch plywood that has a unique surface overlay of black glass fiber that requires zero post finishing. This makes it the ideal material for flooring applications. The Mezzanine floor shown above is from UGG, Australia’s only sheepskin footwear manufacturer. With its proud family tradition UGG takes great pride in producing iconic, quality products with excellent materials. They extended this philosophy when making enhancements at their tanning facility in Melbourne by sourcing and using state of the art materials. 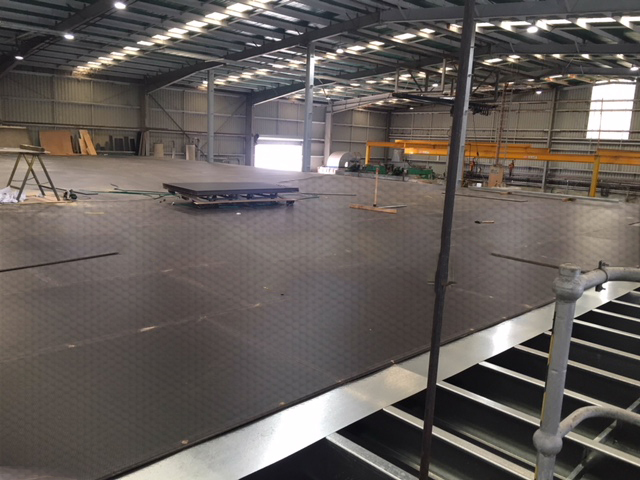 Using SURPLY Deck, the pre-finished face with machined tongue and groove edges enhanced the speed of installation of the mezzanine level. Together with it’s the superior technical and physical properties, along with the high-wear surface overlay provides UGG a material that will perform and last. Anti-slip and high wear pattern. Older PostSurface Squared New Year, New Office!